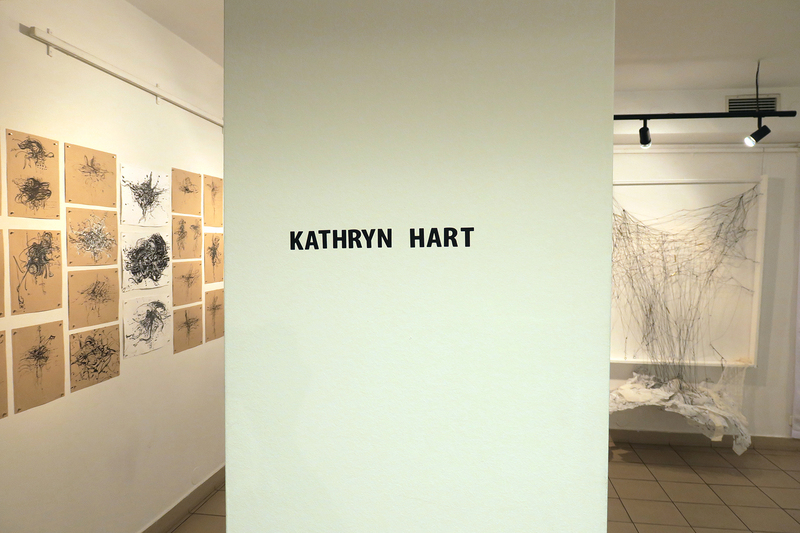 In this solo exhibition, Hart explores the burden, responsibility, and fear of choice in the face of a daunting transition. 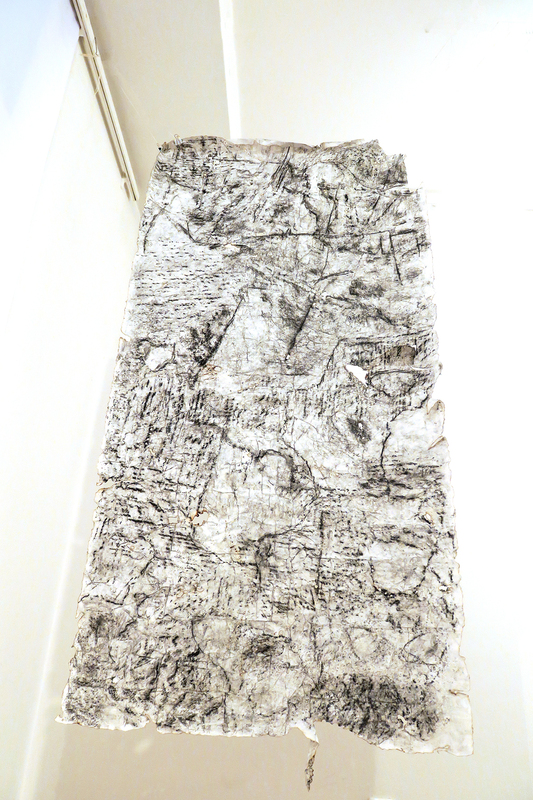 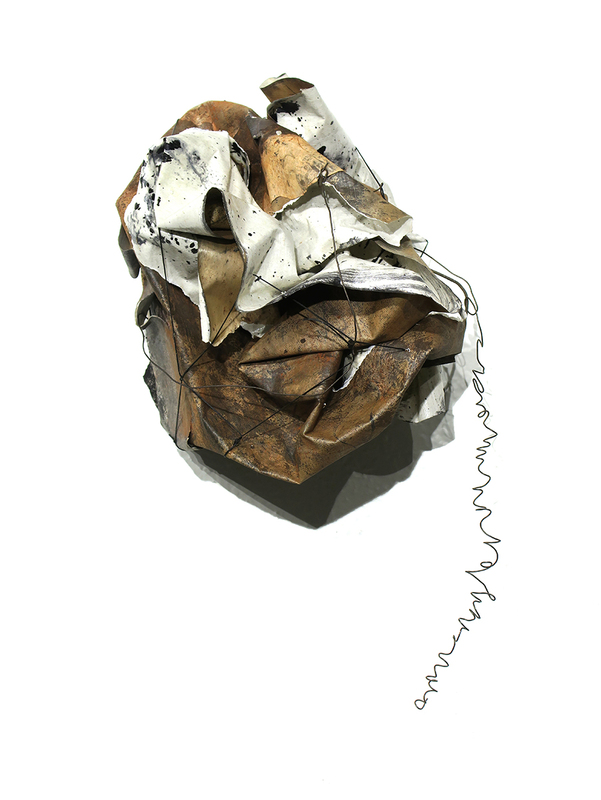 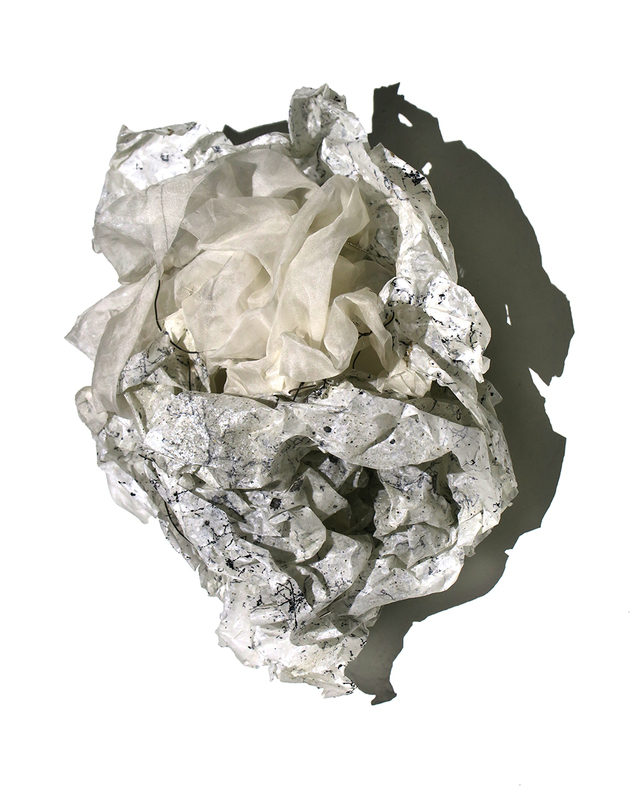 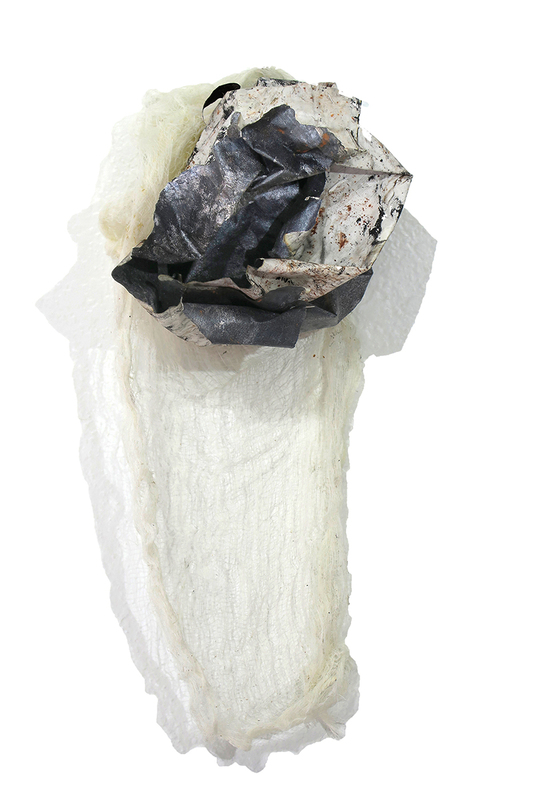 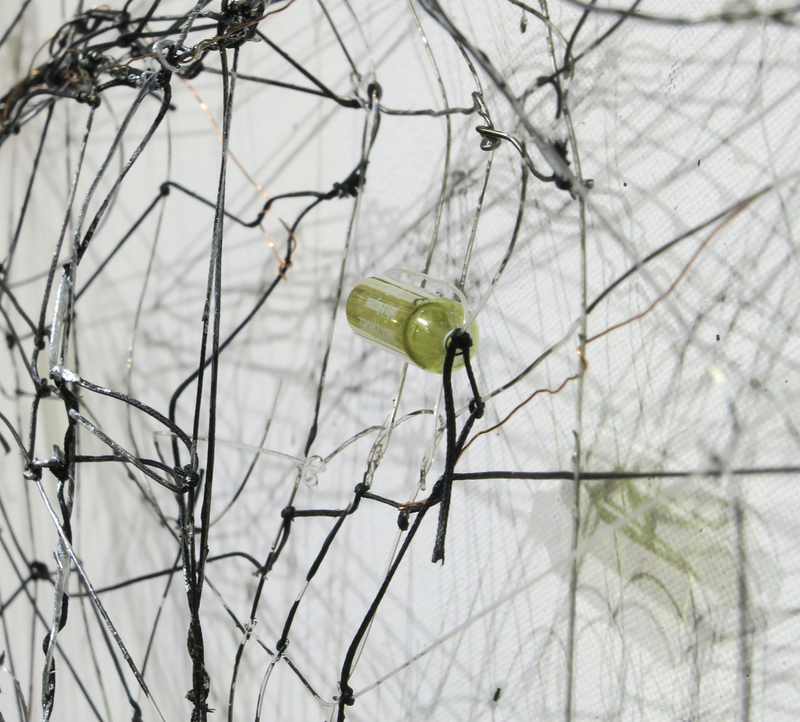 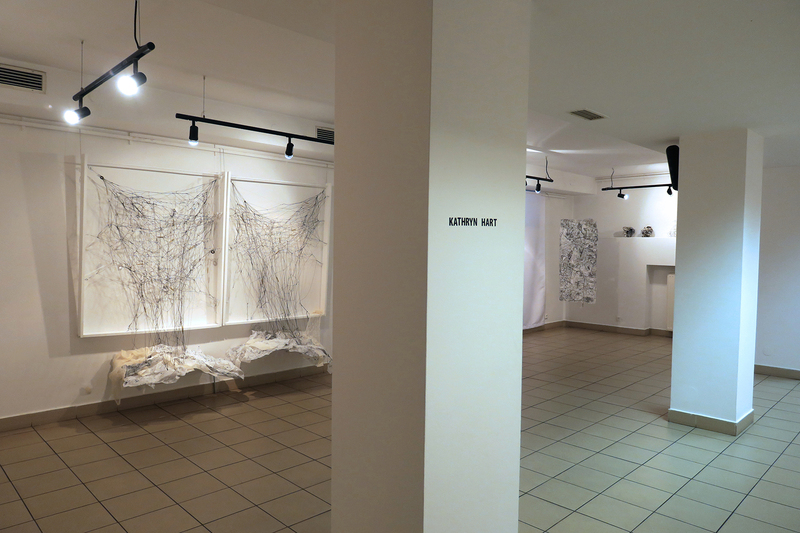 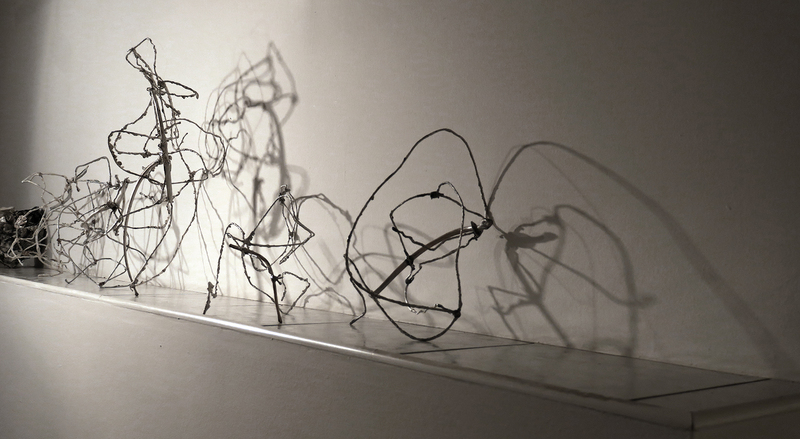 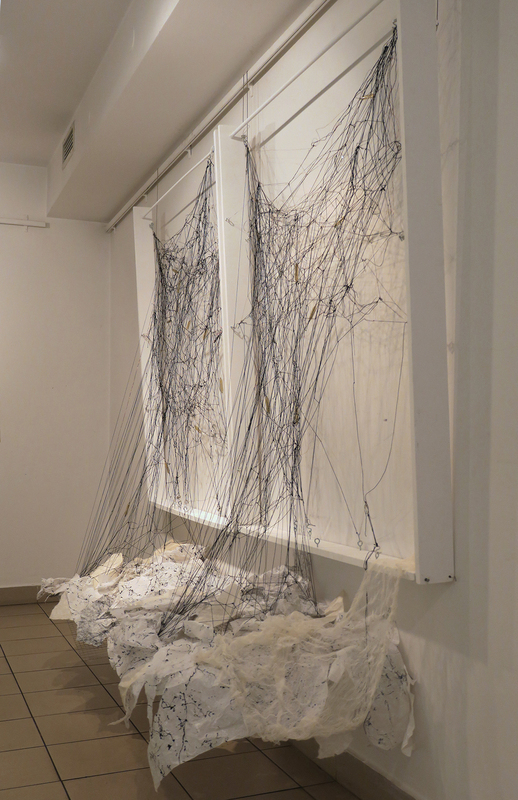 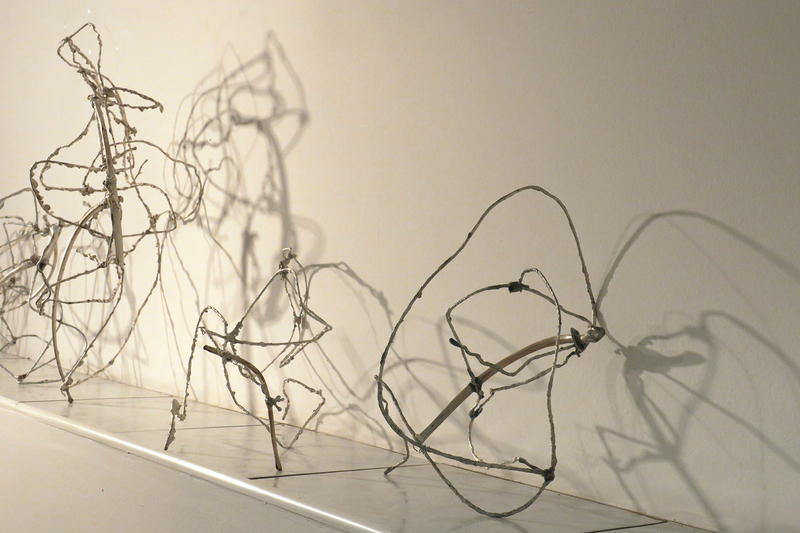 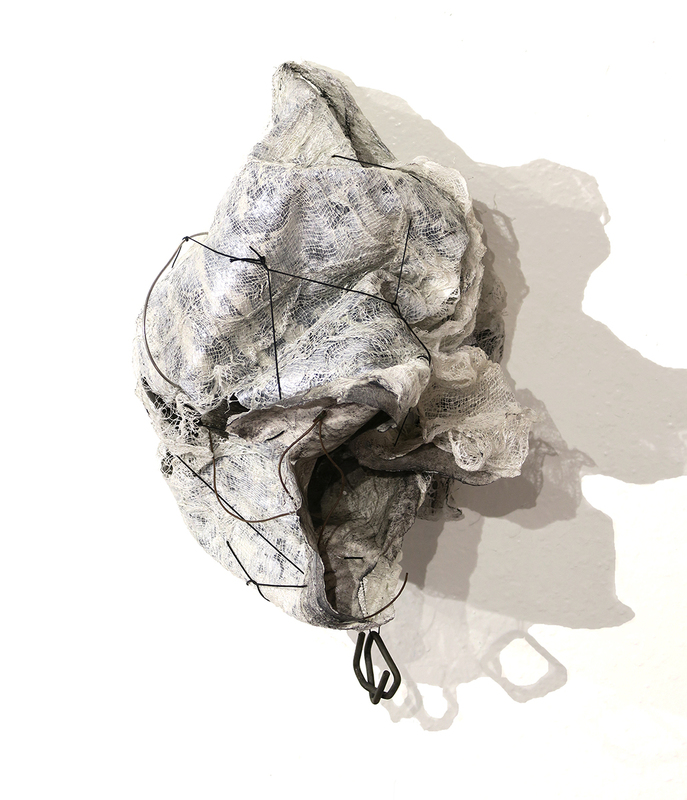 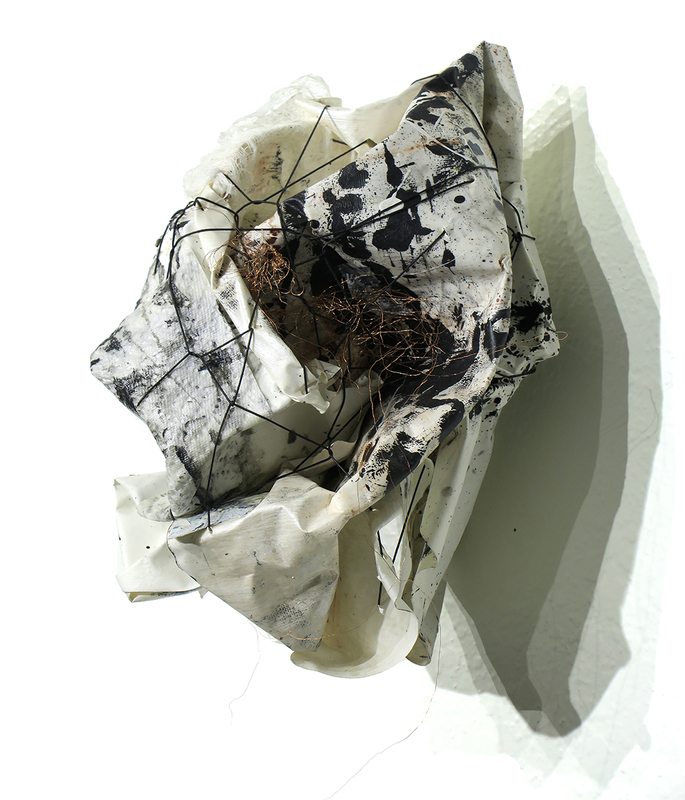 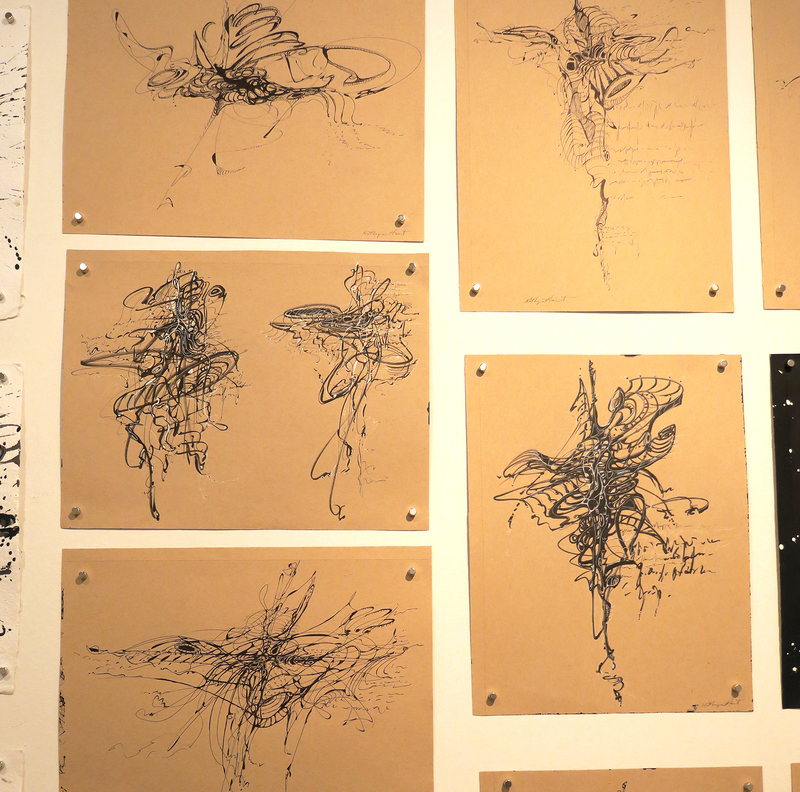 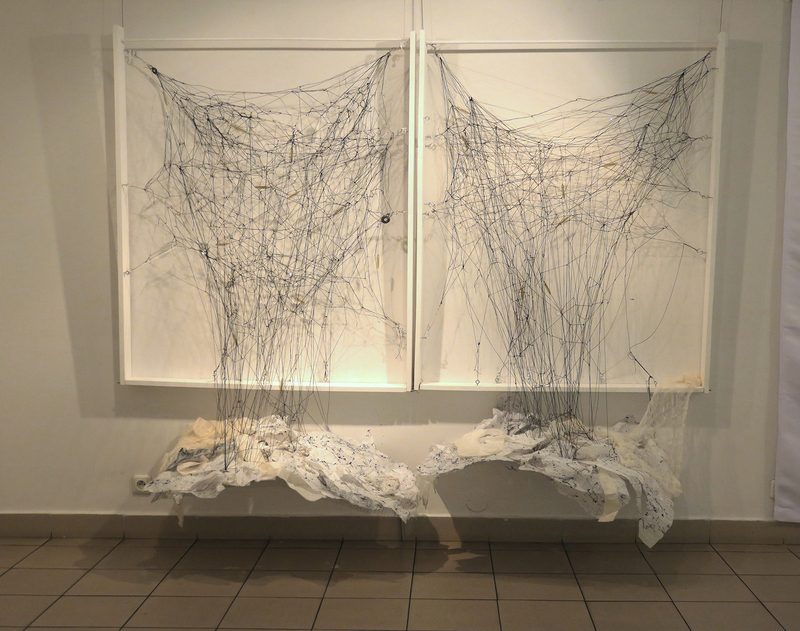 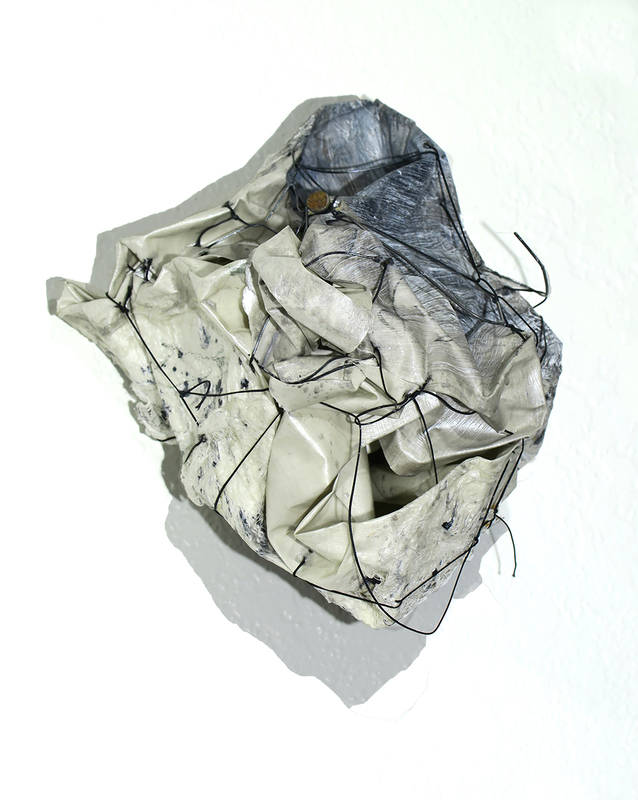 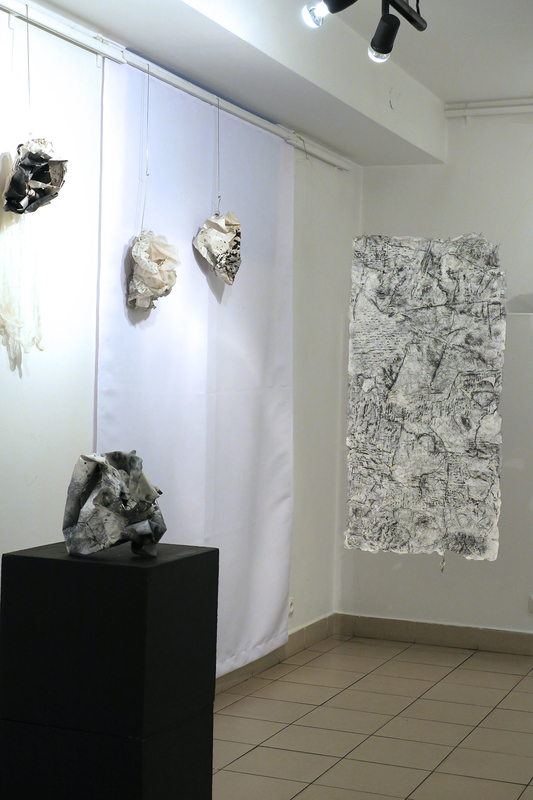 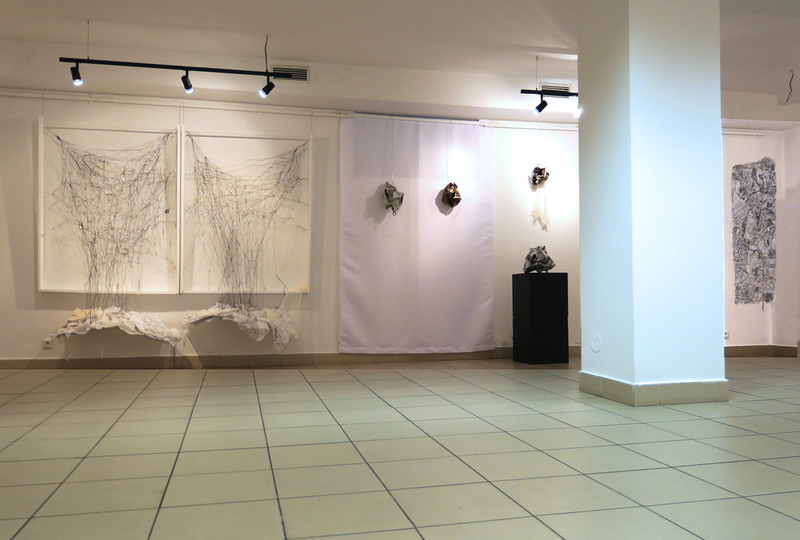 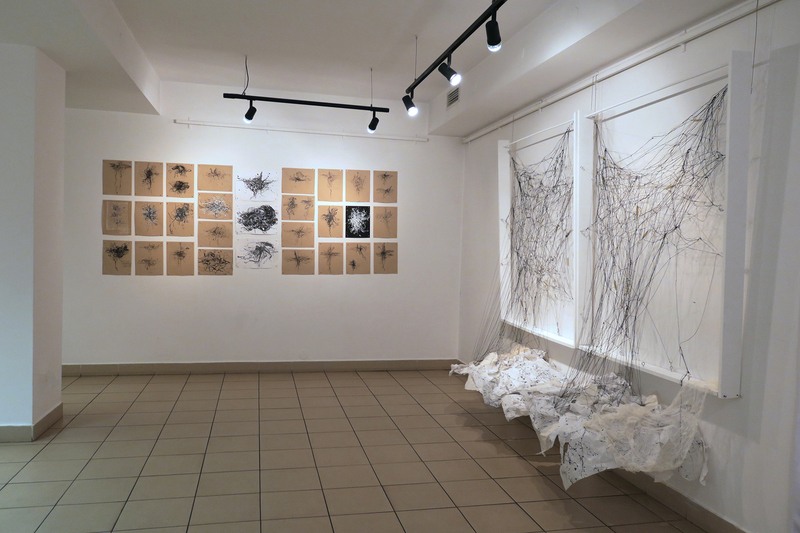 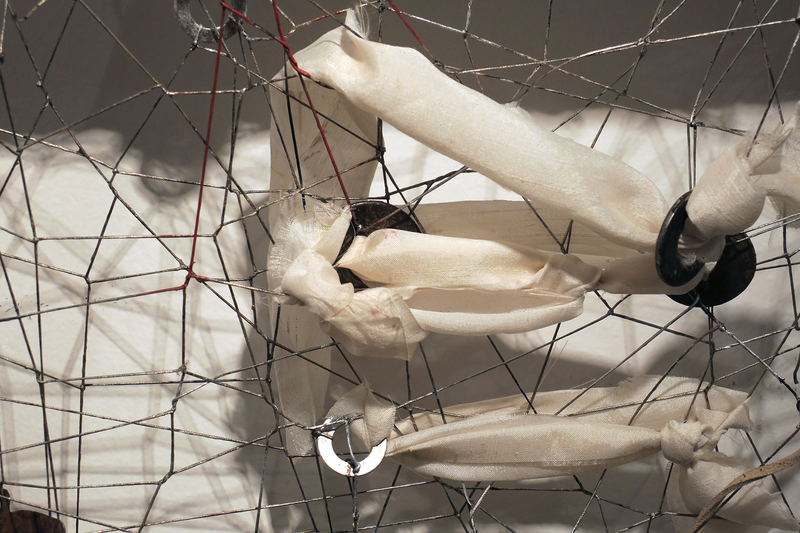 Featured are a site specific installation, ink drawings and small sculptures related to her continued dialogue with evolving feminine identity and the hope for new starts during a period of turmoil, emotional conflict and uncertainty. 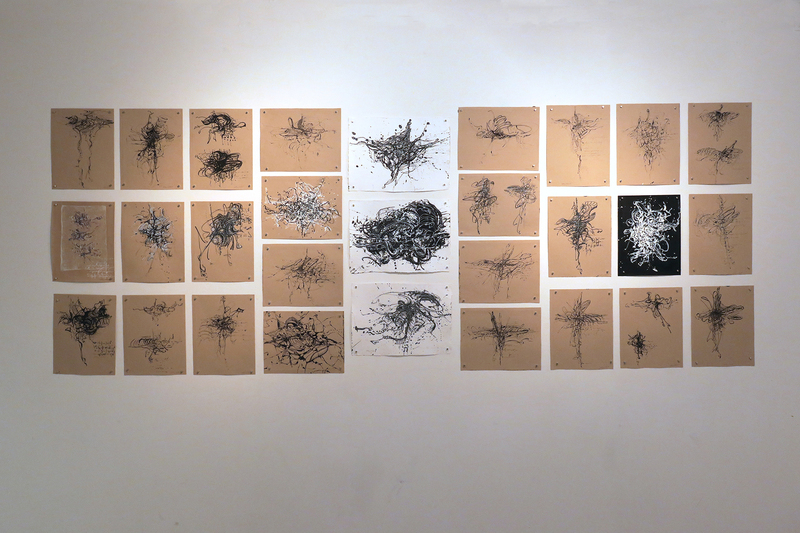 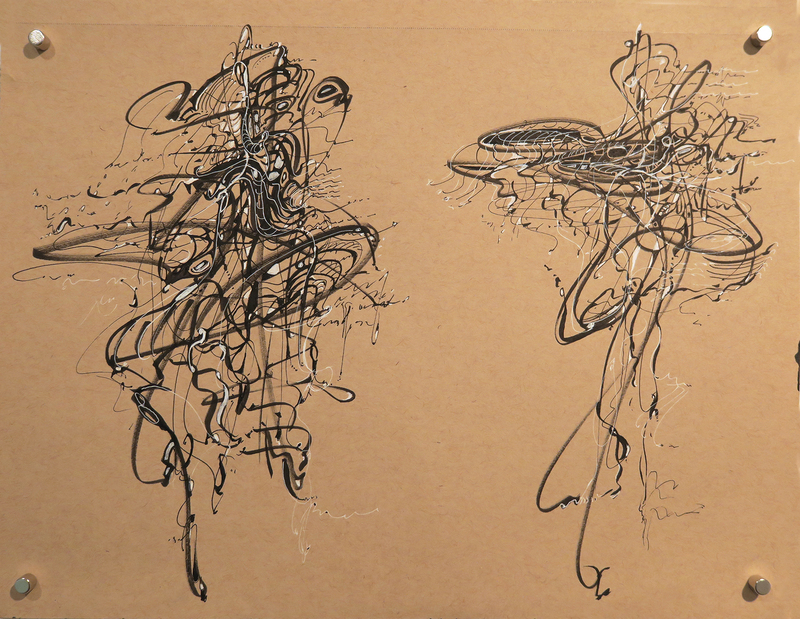 Her visual language in this show is rooted in line, space, and gesture to indicate humanoid or ‘entity’ energy and pathways. 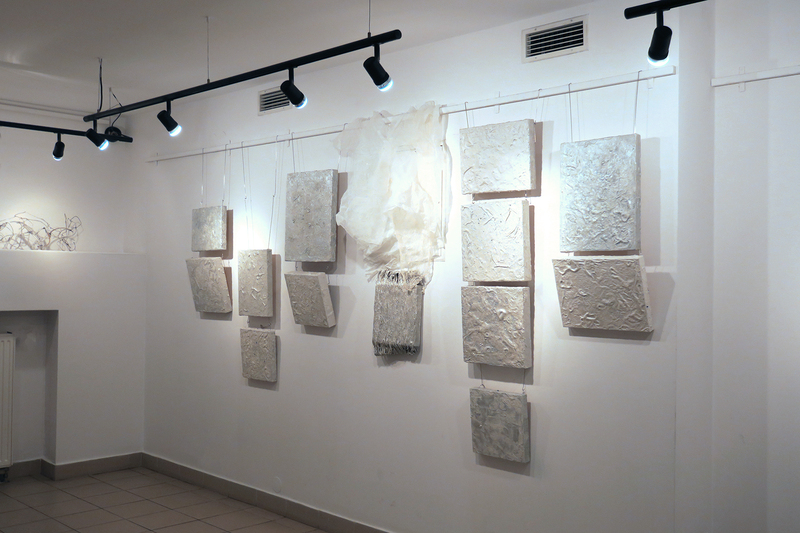 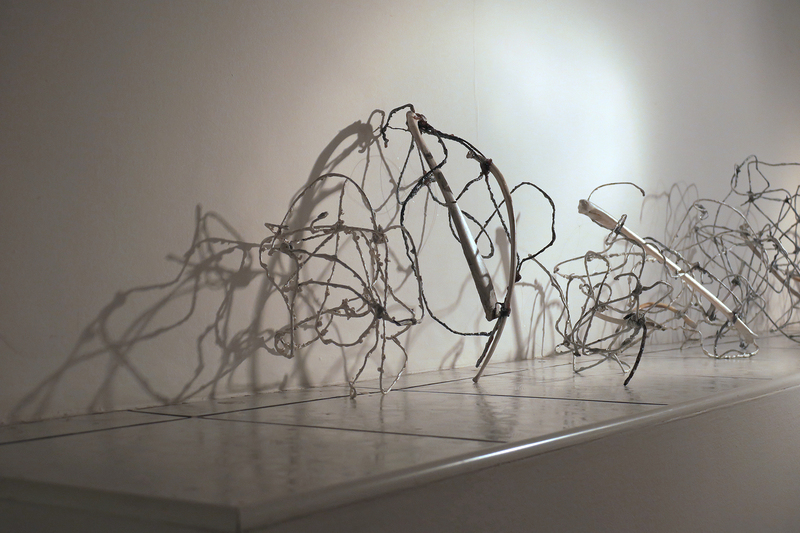 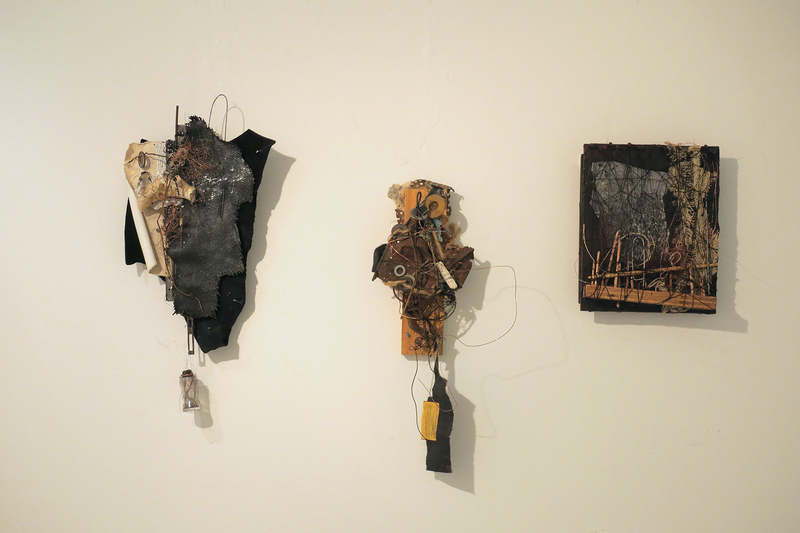 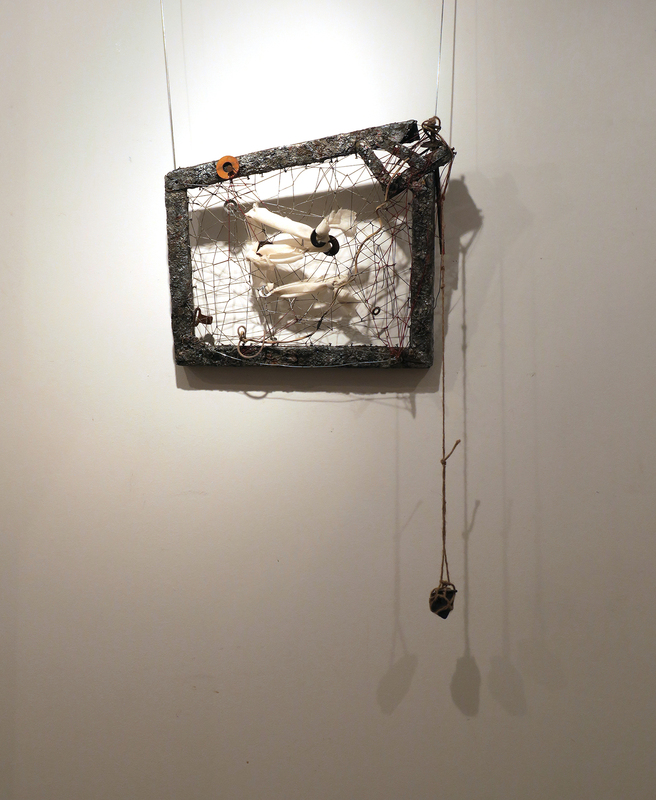 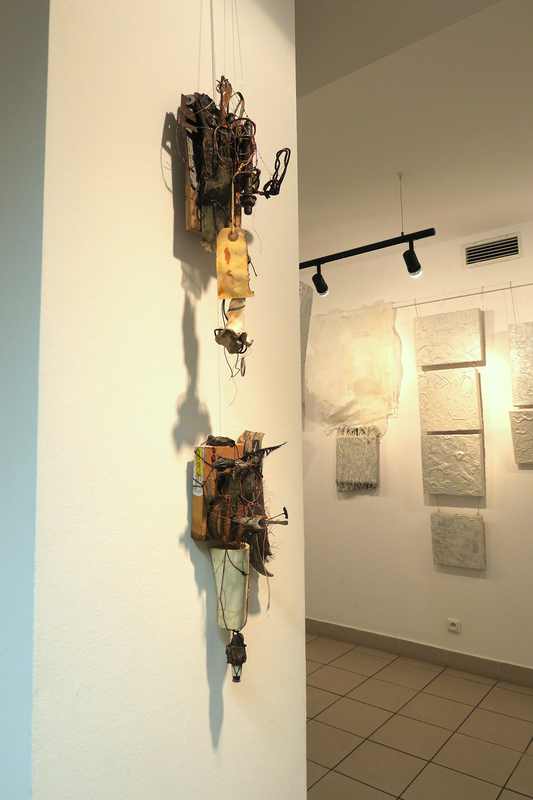 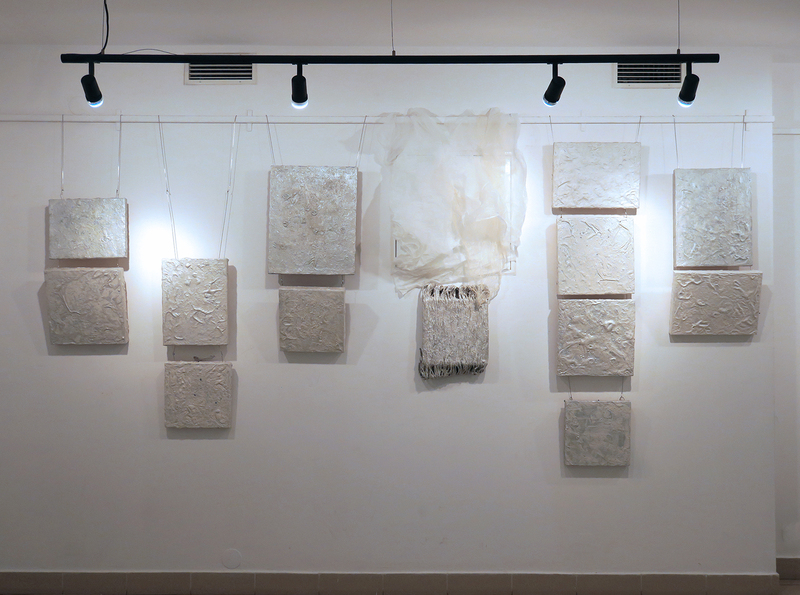 Her work also comments on the female role as one of engineer, builder, janitor, sustainer, caretaker and explorer. 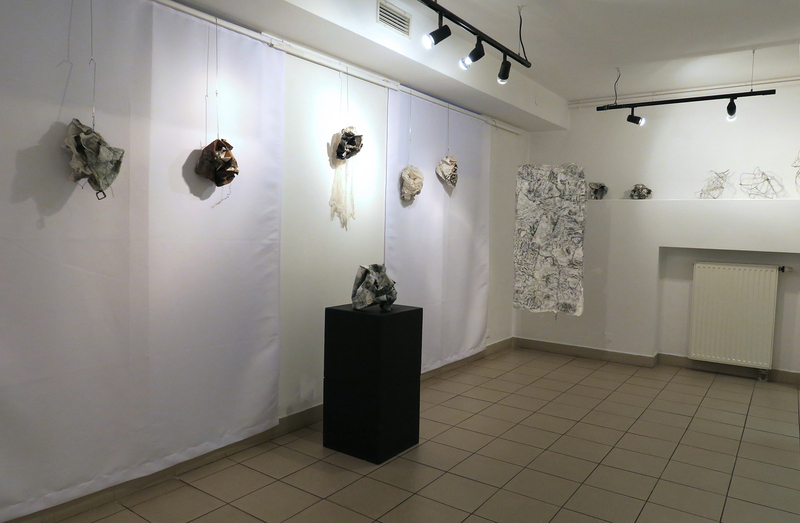 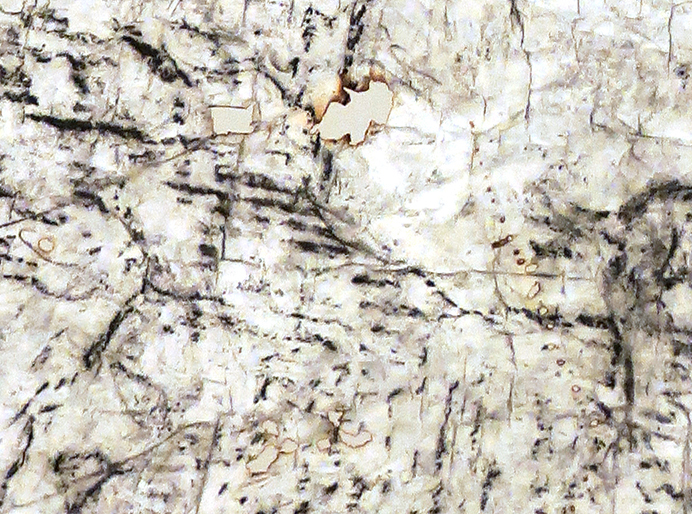 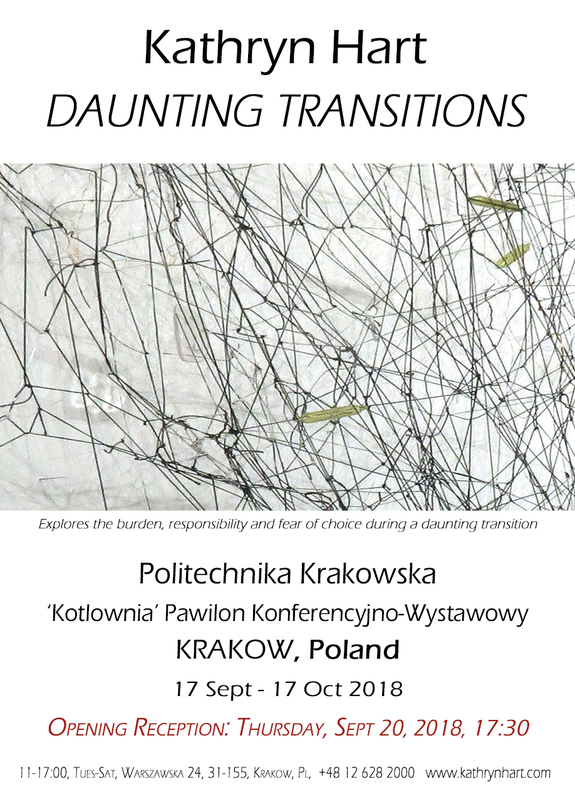 This exhibition originated in NYC in May 2018 at the School of Visual Arts Project Space CE.